Attendees watch early election results come in at the Koster campaign's election night watch party at the Chase Park Plaza. The truth of the matter is that two years is an eternity in politics, making it somewhat perilous to predict the national or statewide environment two years hence. But even though there’s roughly 715 days until Missourians go to the polls again for mid-term elections, it’s not too early to chart out the post-election storylines that could seep out in the open in the coming months. Who will run for the U.S. Senate? This could be the most impactful query in the months ahead. With U.S. Sen. Claire McCaskill priming to run for a third term in office, there’s plenty of Republicans itching to take on the Missouri Democrat. U.S. Sen. Claire McCaskill speaks with reporters before the start of the presidential debate at Washington University. It’s highly possible that members of the Missouri House delegation, like U.S. Reps. Ann Wagner, Sam Graves, or Vicky Hartzler, could run for the GOP nomination. That in turn would set off potentially crowded and spirited GOP congressional primaries. But it’s also not out of the question that somebody outside the Washington political establishment emerges as McCaskill’s challenger – especially if the fortunes of the GOP Congress and President-elect Donald Trump sour in the coming months. Under that scenario, one of Missouri’s newly-elected statewide officials or leaders within the Missouri General Assembly could rise to the top. Or it could be a Republican that's not currently in elected office right now. While McCaskill herself is declaring herself the underdog after this month’s Democratic bloodbath, it would be unwise to write her off. Along with U.S. Sen. Roy Blunt, R-Missouri, McCaskill is widely seen as one of Missouri’s politics most shrewd political minds. Can Galloway win election to the auditor’s office? When Gov. Jay Nixon appointed Nicole Galloway to the state auditor’s office, he wanted to provide a launching pad to a new generation of Democratic statewide officials. But Nixon’s philosophical decision will be put to the test in a big way when Galloway runs to be elected as auditor in her own right. 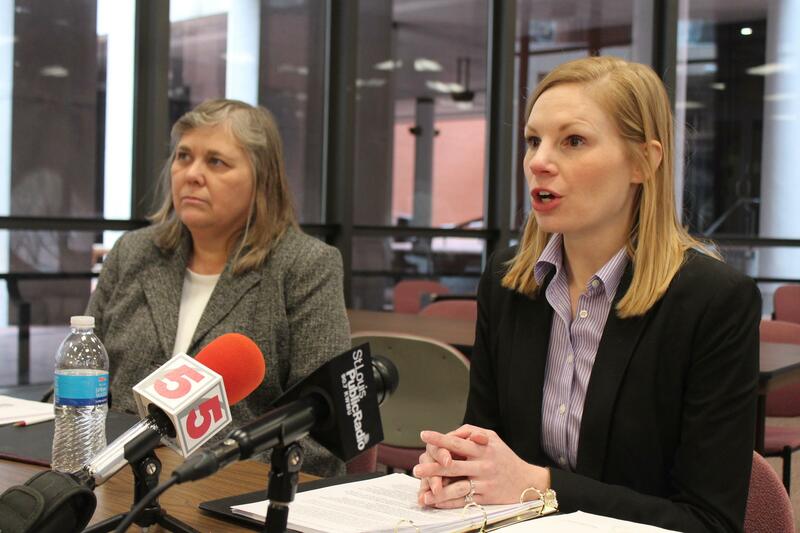 State Auditor Nicole Galloway, right, was appointed to her post in 2015. She will face statewide voters for the first time in 2018. The stakes are high for Missouri Democrats, who got completely wiped out on a statewide level earlier this month. Galloway could be a natural candidate for governor in 2020, since the state auditor’s office has been a springboard to bigger and better things. But before even considering that possibility, Galloway will likely have to fend off a strong Republican challenger in 2018. And there are plenty of possible candidates in local and state government that could try to oust Galloway. Since there’s so much urgency to keep the auditor’s office in Democratic hands, it wouldn’t be surprising if Galloway took on a higher profile in the coming months – or if there was a unified effort to make sure she’s well-funded for the fight ahead. Will the St. Louis region be ground zero for competitive state Senate races again? Sen. Jill Schupp, D-Creve Coeur, says goodbye to colleagues on the last day of this year's legislative session. Schupp will be up for re-election in 2018. But there’s no guarantee that Sens. Jill Schupp or Paul Wieland’s re-election bids will be as expensive or competitive as their 2014 races. For one thing, an incumbent state senator hasn’t lost re-election since 2012. Both lawmakers will likely have substantial financial advantages over opponents, even if recently-passed donation limits survive a court challenge. Other factors could be geographic in nature: Schupp’s St. Louis County-based district leans Democratic. And while Jefferson County historically tilts toward Democrats, the county has taken a sharp red turn in the last four election cycles – which could help Wieland. Who will start jockeying for open state Senate seats? The vast majority of Missouri’s state Senate seats are strongly tilted toward a particular political party. That means that winning a primary in does districts is tantamount to election. Sen. Maria Chappelle-Nadal walks out of the Senate chamber with Sen. Bob Dixon as the Senate adjourns for the session earlier this year in Jefferson City. Both lawmakers are terming out of office in 2018. So it would not be surprising to see members of the Missouri House or local elected officials making some noise about moving up to the General Assembly’s upper chamber. There will open seats that encompass central Missouri, the Kansas City suburbs, north St. Louis County, south central Missouri, northeast Missouri, Springfield, Joplin and St. Joseph. This may be a storyline that takes a while to develop, but don’t be surprised if it seeps into legislative proceedings – especially if multiple House members are prepared to run against each other. Will somebody step up to challenge St. Louis County Executive Steve Stenger? When January 1, 2017, rolls around, Stenger will be in an eerily familiar position. 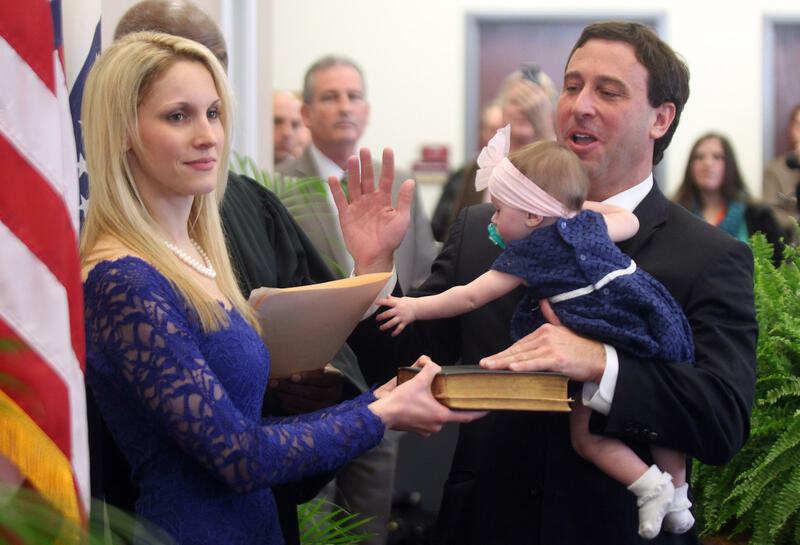 A lot has changed for St. Louis County Executive Steve Stenger since he was sworn into office in January 2015. When he was a member of the St. Louis County Council, Stenger was the head of a five-person legislative coalition that pushed back against aspects of then-St. Louis County Executive Charlie Dooley’s agenda. And when Dooley effectively lost control of the Council, it led to some decidedly hostile clashes during meetings. Stenger, of course, ousted Dooley from office and started his term as county executive with strong bloc of support on the council. 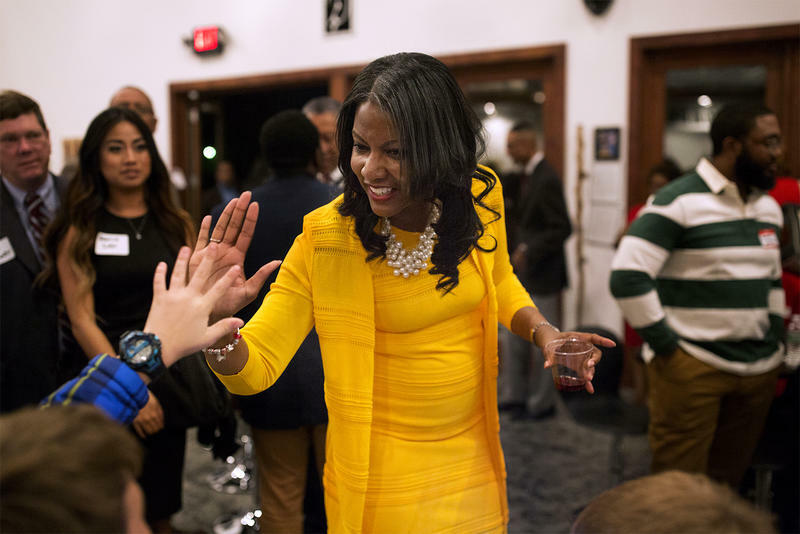 But with the election of Democrat Rochelle Walton Gray and Republican Ernie Trakas to the Council, Stenger will enter 2017 in basically the same position as Dooley in the last years of his term. If Stenger struggles with the new legislative reality, it could prompt speculation about whether Stenger himself will face an intraparty battle in 2018. On the other hand, Stenger has amassed more than $1.1 million in his campaign account. And since recently-passed campaign donation limits don’t affect county offices, Stenger can build upon that war chest in the months ahead. Even if Stenger avoids a significant Democratic challenge, it’s not out of the question that Republicans may once again field a solid opponent – especially since the GOP almost won the county executive’s race in 2014. Could the results of the St. Louis elections produce a domino effect? Before diving into the belly of the beast that is the 2018 election cycle, St. Louis residents will have to slog through a historic mayoral election. 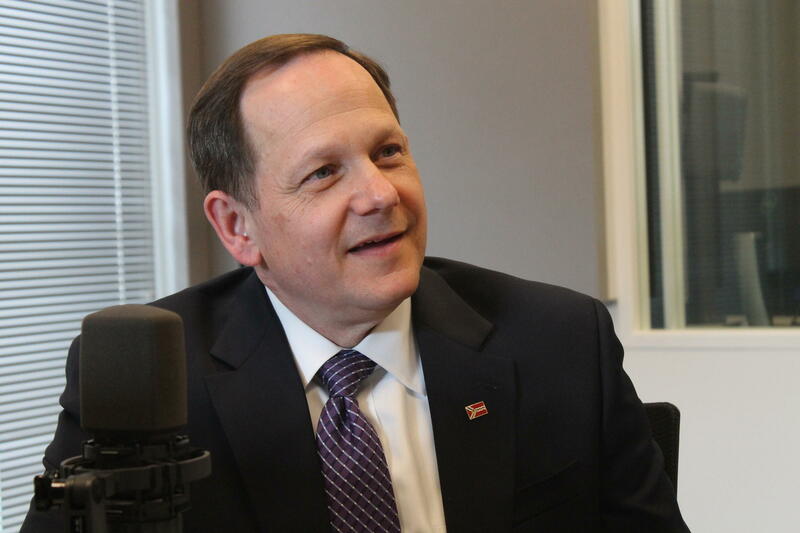 However the race to replace St. Louis Mayor Francis Slay shakes out, there could be a political domino effect. As of now, more than a half dozen candidates have stepped up to run to replace St. Louis Mayor Francis Slay. And depending on the outcome, the result of that race could produce vacancies in citywide, state legislative or aldermanic offices. If St. Louis Treasurer Tishaura Jones becomes mayor, state law stipulates that she will be able to select her successor. And if Board of Aldermen President Lewis Reed prevails, then (assuming he wins re-election next year), Alderman Joe Roddy, D-17th Ward, would take Reed’s spot. This article first appeared in the St. Louis Beacon: “If you think we’re going to spend a billion dollars of our money over there, you are sadly mistaken.” – Defense Secretary Donald Rumsfeld, 2003. WASHINGTON – Ten years ago this month, the U.S. government embarked on a war to topple the Saddam Hussein regime in Iraq. That conflict and the ensuing occupation ended up costing American taxpayers, by some estimates, about $800 billion. This article first appeared in the St. Louis Beacon: WASHINGTON – As victims of sexual assault in the military told their stories to a Senate panel on Wednesday, U.S. Sen. Claire McCaskill and other senators called for reforms in military procedures to help stop widespread abuses. 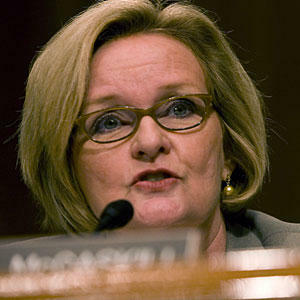 U.S. Sen. Claire McCaskill, D-Mo., says she’s “absolutely’’ seeking re-election in two years, despite her party’s shellacking at the polls less than two weeks ago. In the meantime, McCaskill plans to play an aggressive role in fighting Republican proposals – already being publicly discussed -- to revamp the nation’s Medicare program, which provides health care for 55 million Americans age 65 and over.